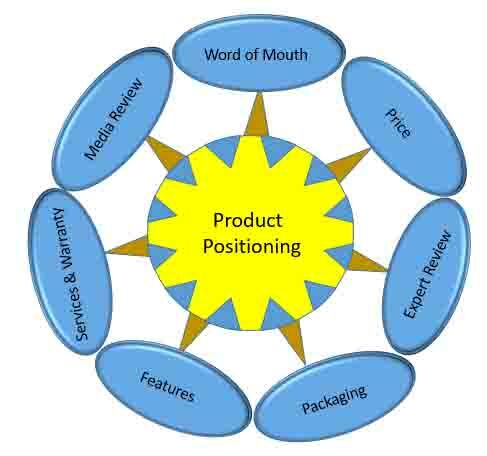 Positioning is the process of creating a product image in mind of consumer. Positioning is used to make a favorable image of product to target market. It simply make first impression of product to consumer and it helps to create perception of product of service like – Bisleri stands for Purity and CEAT Tyres. What is Does ? - It will give fareness on your face. Why should i care ? - You will get a good job, your house as you will become attractive. There can me many source of product positioning as what is its USP, Price, Service and warranty, expert’s reviews, media reviews, world of mouth, packaging.